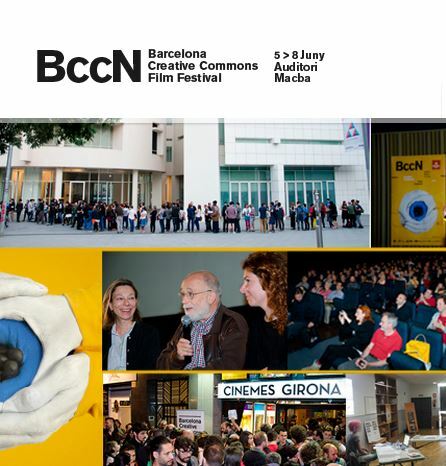 Researchers from CREATe partner ISSTI (The Institute for the Study of Science, Technology and Innovation) based at the University of Edinburgh, recently engaged with independent film directors during the Barcelona Creative Commons Film Festival (BccN) held between 5-8 June 2014. The focus of this industry seminar was the study of new business models in the creative industries and co-envisaging the future with respect to new forms of copyright management. As part of their ongoing CREATe research, ISSTI researchers have mainly focused on UK open film making projects and found that these film makers implement their open content philosophy through a combination of open standards and various licensing formats of which CC (creative commons) is only one component. One of the research aims is to identify the role of CC is in a complex constellation of practices within the film making industry. The researchers found that in order to make a living with free content, open film projects use different licensing format at different stages in the development of their project and often in combination with other more traditional forms of copyright. The industry engagement event in Barcelona was organized with the aim of inviting film directors and users of CC to envisage the future of the film making business with respect to new forms of copyright management. Analysis, commentary and other outputs from this event are forthcoming.